#MACInTheSpotlight launches online in North America on November 3rd and in-store November 10th. It includes extensions of their Strobe Cream ($33 USD/ $40 CAD) along with Extra Dimension Skin Finishes ($33 USD/ $38 CAD) and brushes. The best part about this collection, besides the fact that it's all about glow is that it is permanent! Thank you glow Gods! The iconic original Strobe Cream is now named Pinklite (pink pearls). Added to the Strobe Cream line for the MAC In The Spotlight Collection is Peachlite (peach pearls), Silverlite (silver pearls), Redlite (red pearls) and Goldlite (gold pearls). It has 1.7 fl oz of product which is almost double the size of an average foundation. Strobe cream has been around long before the strobing craze. 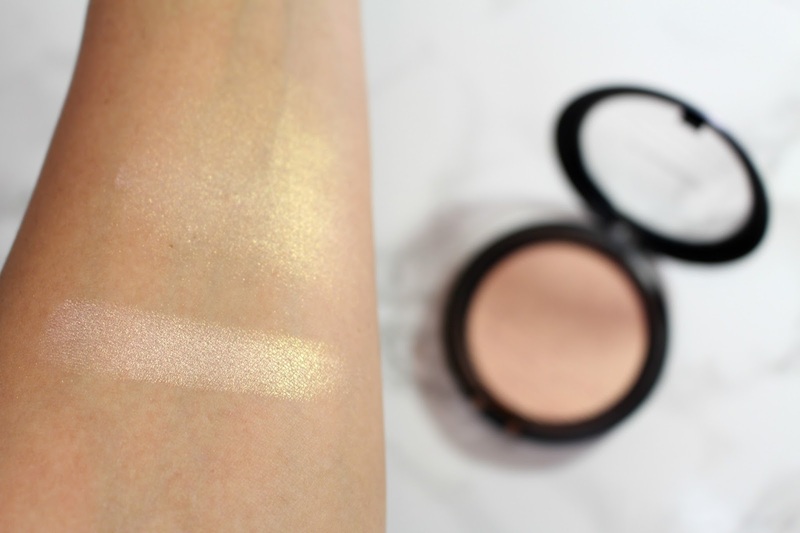 MAC describes this as "super-powered with potent botanical, antioxidants and iridescent pearl particles" It is meant to not only create a glow but to hydrate and de-stress the skin. 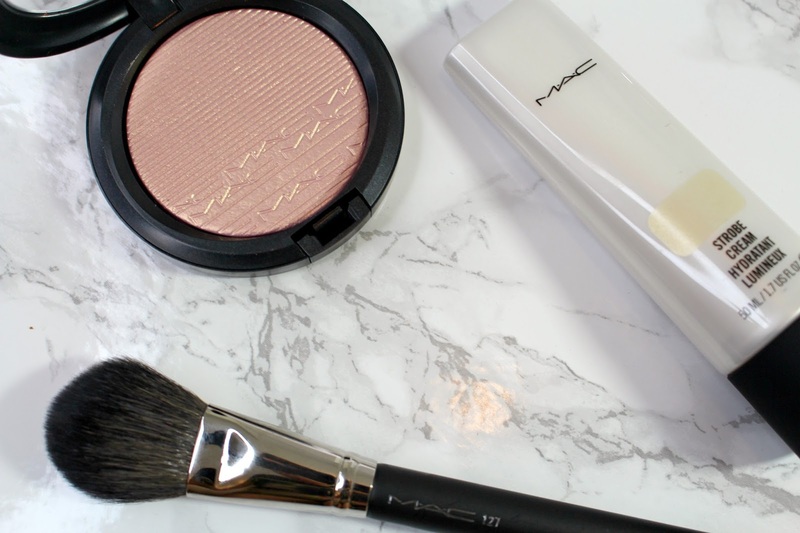 MAC Goldlite Strobe Cream is STUNNING. 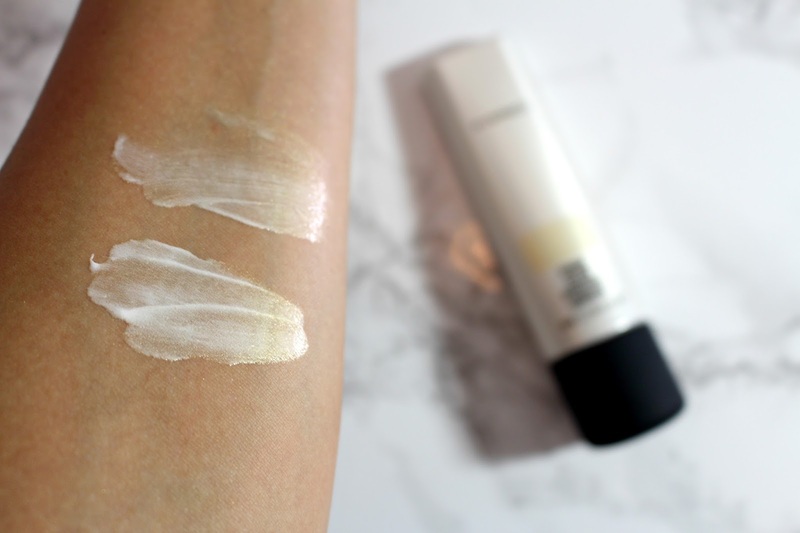 I am a true gold lover, but I also have oily skin which has kept me away from MAC Strobe Cream in the past. I have been missing out! It has a gorgeous texture that is not at all greasy, dries down quite fast with no glitter just sheen. It can be mixed in with a foundation, used on the body or on top of the cheekbones or wherever you'd normally highlight. There are 4 Extra Dimension Skin Finishes in the MAC In The Spotlight Collection. Show Gold (peach that breaks pink), Double-Gleam (beige that breaks silver), Beaming Blush (pink that breaks gold) and Soft Frost (white that breaks violet). I think that these are a super fun way to add some duo-chrome interest to your look. 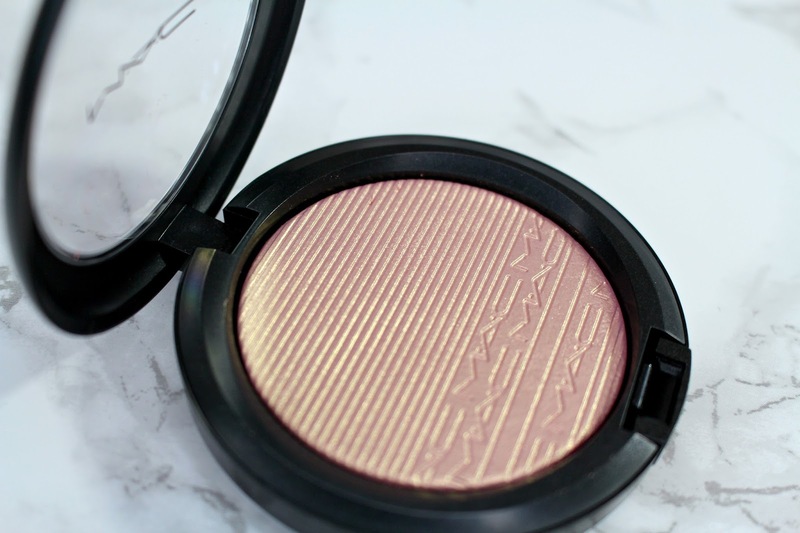 MAC Extra Dimension Skin Finish in Beaming blush is SO PRETTY. I didn't want to touch it. It looks quite pink in the pan but you do get a good bit of gold that reflects as well. 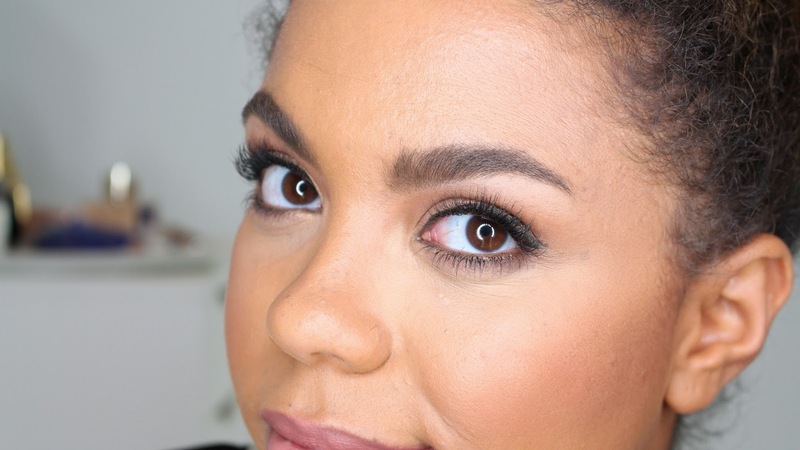 Dependant on your skin tone it can be a highlight, blush topper or eyeshadow! Again, there is no glitter just a smooth textured glow. I have to include a video clip, pictures do not do it justice! Also included is the MAC 127 Split Fibre Face Brush ($35 USD/ $42 CAD). It is incredibly soft and has a 50/50 split of natural and synthetic bristles. 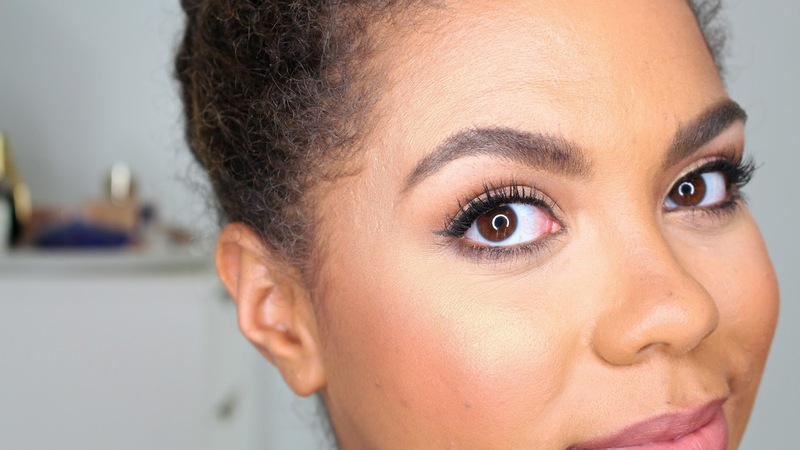 It is slightly tapered at the tip which makes it easy to place highlight and diffuse it. 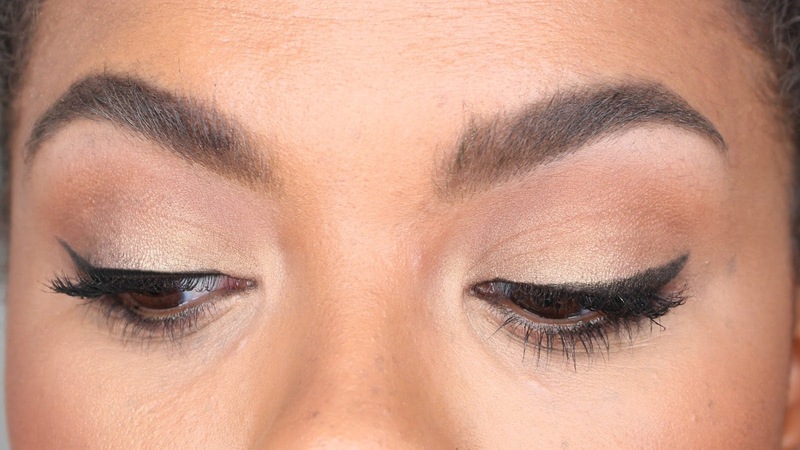 It would also make a great brush to place and blend contour for a softer look. It is Diana!! So so beautiful.